Your June yoga calendar has just become a little more full, with the first annual United Nations World Yoga Day falling on the 21st of this month. Held in Bondi for the first ever event, yogis from all over the country and the world will be heading down to Bondi Beach Pavillion for an all day yoga-filled event. The UN World Yoga Day will begin at dawn with Aboriginal acknowledgement and a community gathering of sun salutation as the sun rises over the beach. The event will then run until dusk with yoga classes, meditation sessions, well being workshops and even delicious food and market stalls for all your yoga needs. If you’re not already a yogi, this event would be the perfect time to start, with heaps of support and information on the amazing exercises and benefits that yoga brings to the body. 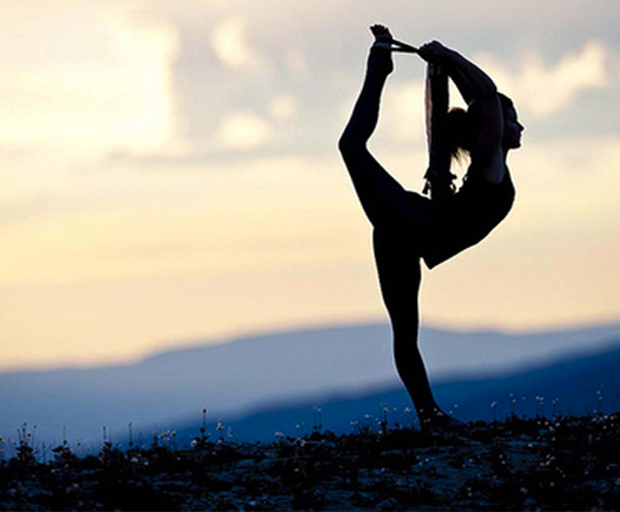 President of Yoga Australia, Claire Nettley knows just how popular yoga is and why that is so. “Thirty million people worldwide practise yoga. Yoga Australia has approximately 2,500 registered teachers and my understanding is that there are approximately 300,000 people practising yoga in Australia,” informs Claire. “Yoga is a science of the mind. It is a system for establishing mental equilibrium through moral and ethical guidelines, the removal of physical impurities with the goal of establishing a contemplative mind. The primary benefit is a quieter more discriminating mind that allows us to relate better to others, our environment and ourselves,” she continues. If you’re wondering if yoga suits your style, you needn’t worry, as Claire explains the current yoga trends and different styles that you can try. “I think the trend is around different styles of yoga cropping up. Everything from yoga for men (Broga – beer yoga) to hip hop yoga, yoga on paddle boards, yogalates etc,” she says. If that hasn’t already convinced you to start practicing yoga, your sleep, stress management and immunity will thank you for it, as yoga has positive effects on all three of those problem areas. It also improves your flexibility, posture and your physical, mental and emotional health. The activities on Bondi Beach at the first annual UN World Yoga Day are free, but if you would like to get inside Bondi Beach Pavillion to check out the workshops and classes, you can pre-book your tickets online for $30 or buy a ticket at the door for $50. Be a part of yoga and world history, give your body some yoga benefits and check out this special event at Bondi Beach on June 21st, 2015.